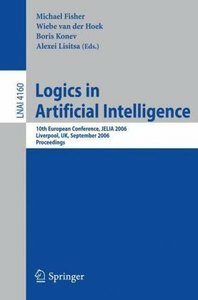 This book constitutes the refereed proceedings of the 10th European Conference on Logics in Artificial Intelligence, JELIA 2006. 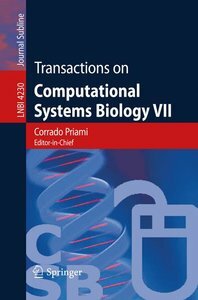 The 34 revised full papers and 12 revised tool description papers presented together with 3 invited talks were carefully reviewed and selected from 96 submissions. 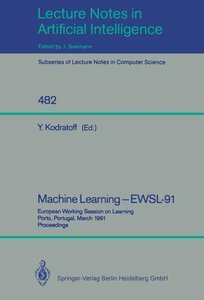 The papers cover a range of topics within the remit of the Conference, such as logic programming, description logics, non-monotonic reasoning, agent theories, automated reasoning, and machine learning. 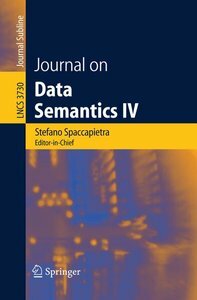 Invited Talks.- From Inductive Logic Programming to Relational Data Mining.- Answer Set Programming: A Declarative Approach to Solving Search Problems.- Inconsistencies in Ontologies.- Technical Papers.- On Arbitrary Selection Strategies for Basic Superposition.- An Event-Condition-Action Logic Programming Language.- Distance-Based Repairs of Databases.- Natural Deduction Calculus for Linear-Time Temporal Logic.- A STIT-Extension of ATL.- On the Logic and Computation of Partial Equilibrium Models.- Decidable Fragments of Logic Programming with Value Invention.- On the Issue of Reinstatement in Argumentation.- Comparing Action Descriptions Based on Semantic Preferences.- Modal Logics of Negotiation and Preference.- Representing Action Domains with Numeric-Valued Fluents.- Model Representation over Finite and Infinite Signatures.- Deciding Extensions of the Theory of Arrays by Integrating Decision Procedures and Instantiation Strategies.- Analytic Tableau Calculi for KLM Rational Logic R.- On the Semantics of Logic Programs with Preferences.- A Modularity Approach for a Fragment of .- Whatever You Say.- Automatic Deductive Synthesis of Lisp Programs in the System ALISA.- A Fault-Tolerant Default Logic.- Reasoning About Actions Using Description Logics with General TBoxes.- Introducing Attempt in a Modal Logic of Intentional Action.- On Herbrand's Theorem for Intuitionistic Logic.- Ambiguity Propagating Defeasible Logic and the Well-Founded Semantics.- Hierarchical Argumentation.- Anti-prenexing and Prenexing for Modal Logics.- A Bottom-Up Method for the Deterministic Horn Fragment of the Description Logic .- Fuzzy Answer Set Programming.- Reasoning About an Agent Based on Its Revision History with Missing Inputs.- Knowledge Base Revision in Description Logics.- Incomplete Knowledge in Hybrid Probabilistic Logic Programs.- A Formal Analysis of KGP Agents.- Irrelevant Updates and Nonmonotonic Assumptions.- Towards Top-k Query Answering in Description Logics: The Case of DL-Lite.- Representing Causal Information About a Probabilistic Process.- Tool Descriptions.- A Tool to Facilitate Agent Deliberation.- An Implementation of a Lightweight Argumentation Engine for Agent Applications.- A Tool for Answering Queries on Action Descriptions.- An Implementation for Recognizing Rule Replacements in Non-ground Answer-Set Programs.- April - An Inductive Logic Programming System.- optsat: A Tool for Solving SAT Related Optimization Problems.- Automated Reasoning About Metric and Topology.- The QBFEVAL Web Portal.- A Slicing Tool for Lazy Functional Logic Programs.- cc? 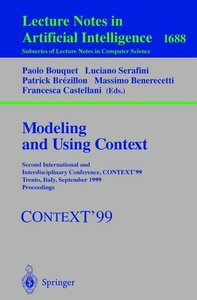 : A Correspondence-Checking Tool for Logic Programs Under the Answer-Set Semantics.- A Logic-Based Tool for Semantic Information Extraction.- tarfa: Tableaux and Resolution for Finite Abduction.